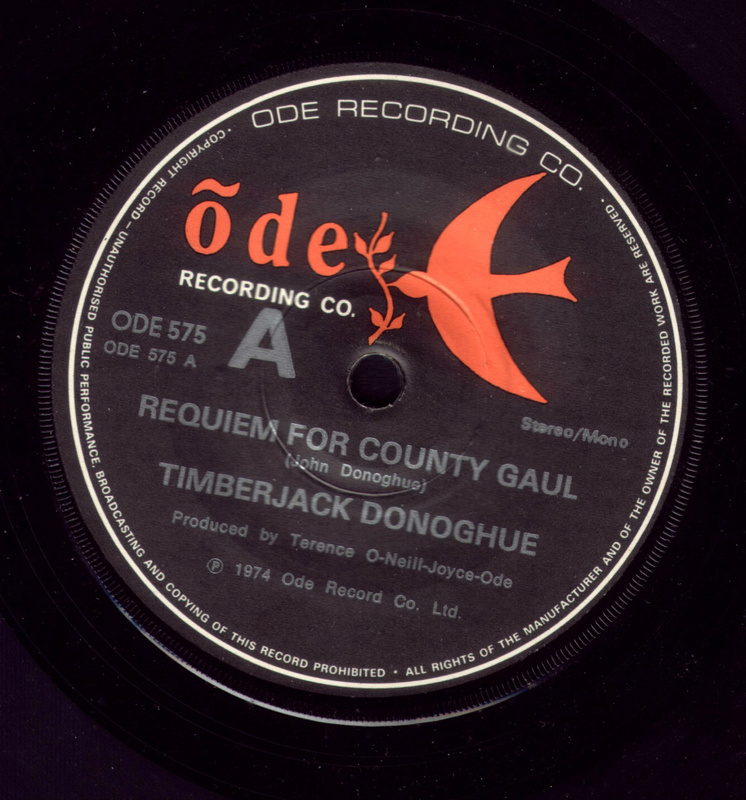 The third Timberjack Donoghue single "Requiem for County Gaul" was written, recorded and released in 1974 during the waves of political protest sweeping throughout New Zealand against the testing of nuclear weapons in the South Pacific. 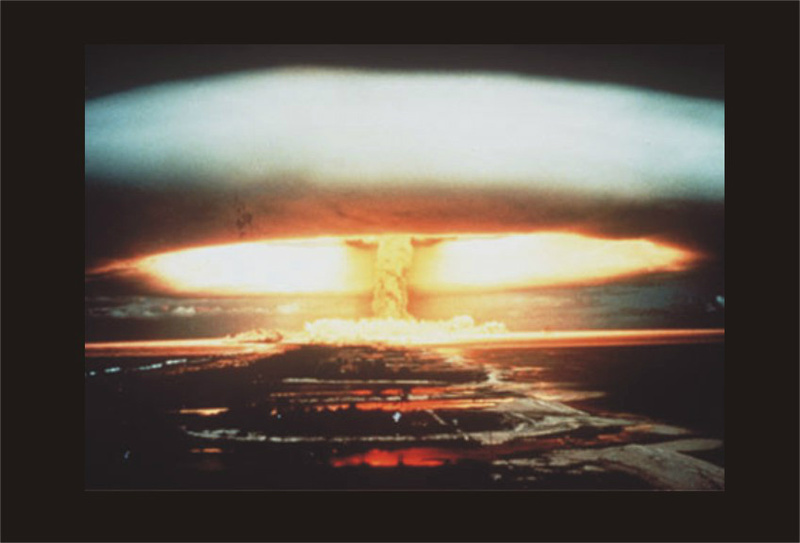 The above photo is one of the 41 nuclear "tests" conducted by France in the South Pacific. This particular one took place at Mururoa Atoll on 3rd July, 1970 and yielded 914 kilotons of radioactive poison into our atmosphere. 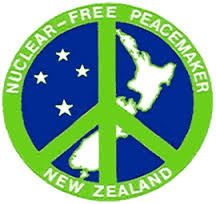 Requiem for County Gaul was the first New Zealand recording to protest nuclear testing in the Pacific and its official release was timed to coincide with the New Zealand Peace Squadren's arrival at Mururoa Atoll in 1974. Vocals, Guitars and Mandolins: John Donoghue. Engineers: Micheal Grafton-Green: Tony Moan. A thrilling memory that will remain with me forever is the sight of the three Yandall sisters, Mary, Adele and Pauline, gathered around a single microphone at Stebbing Studios and with three fists raised, passionately belting out "Let the Pacific be.." at the tops of their voices. The session was charged with magic. Producer Terence O'Neil-Joyce had recruited Kiwi super-musician Julian Lee as Musical Director and Julian's contributions were to lift "Requiem for County Gaul" into something far more majestic than a simple protest song. The Rhythm tracks for "County Gaul" were laid down at EMI studios Wellington, when Bulldog's Allstar Goodtime Band were passing through that town on tour. By using Bulldog's Ryhthm Section- Kevin Findlater on Bass and Danny Shaw on Drums, we were able to knock the first session out in one hour. EMI still only had a four track recorder, so Producer Terence O'Neil-Joyce took the multitrack mastertape to Auckland and laid the tracks into the eight track recorder at Stebbing Studio in Ponsonby. A week later I travelled up from Hamilton to complete the overdubs and to meet super-musician Julian Lee, who Terence had booked for the session and also Phil Yule, Stebbing's brilliant in-house recording engineer. For my part I brought in Auckland's legendary vocal group, the Yandall Sisters, with whom I had toured and become friends with. So, thanks to "Requiem for County Gaul," the template was set, and this would be the same team, along with the Wellington band "Redeye," that would produce the second "Timberjack Donoghue" album. "Requiem for County Gaul" the composition, references two musical motifs, Schubert's "Marche Militaire," and Tchaikovsky's "1812 Overture." Just as "Dahli Mohammad" the single, had led to the first Timberjack Donoghue album, "Requiem for County Gaul" the single, was to give birth to the second Timberjack Donoghue Album. Producer Terence O'Neil-Joyce was underwhelmed by the lyrics in the opening verse of this song and thought I could improve on them. He was right and here below is the new vastly improved version. and that your pitchforks have gone out of style. the nuclear, instead of human one. yours is a crime against humanity. Talented New Zealand Singer/Songwriter John Donoghue prefers to stay in the background most of the time, but when he has something to say, it's always well worth saying. John's next single, "Requiem for County Gaul," soon to be released, has an anti-bomb message with touches of Tchaikovsky's 1812 and Schubert's Marche Militaire. The single, full of mandolins, oddly tuned guitars, flugelhorns and south sea maidens, was recorded at EMI studios in Wellington and Stebbing Studios in Auckland. It was engineered by Tony Moan and Phil Yule, produced by Terence O'Neil-Joyce. Rumour has it that the blind gentleman with golden ears who was profiled on this very page last week, was also in the studio, acting as Musical Director. BONUS VIDEO: "A NUCLEAR FREE PACIFIC"